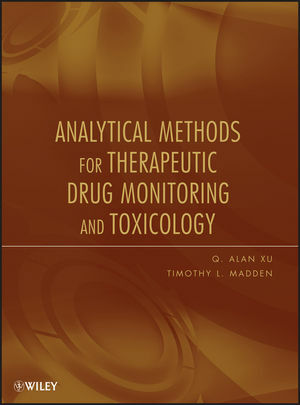 This book is a compilation of summarized analytical methods designed to serve the needs of pharmacologists, toxicologists, and other allied health professionals involved the development, use, or monitoring of pharmaceuticals. The summaries are structured monographs on 511 different drug entities detailing 964 different analytical methods, providing the reader with a thorough description of method validation. These analytical methods include not only high performance liquid chromatography (HPLC), but also gas chromatography (GC), immunoassay, electrophoresis, ultra performance liquid chromatography (UPLC) coupled with UV (UPLC-UV) detection and mass spectrometry (UPLC-MS/MS). With more detailed and complete summaries than sketchy and abbreviated formats used in the other books, this book provides a thorough description of method validation and results, as well as the operating parameters. Q. Alan Xu, PhD, is a Research Scientist in the Pharmacology and Analytical Facility at the University of Texas MD Anderson Cancer Center. He has written seventy scientific papers, book chapters, and one book. Timothy L. Madden, PharmD, DABCP, FCCP, is an Associate Professor in the Department of Experimental Therapeutics and Director of the Pharmaceutical Development Center at the University of Texas MD Anderson Cancer Center. He is a consultant for numerous pharmaceutical companies, holds fifteen patents, and has written more than 100 peer-reviewed papers, abstracts, and book chapters.